Following the huge success of their Xmas Gin Night Market, The Craft & Co in Collingwood is now launching its next amazing instalment, the Autumn Gin Market! Held on Sunday 14th April from 11am to 8.30pm, the Autumn Gin Market will showcase some of Australia's best gins - just in time for all your Easter holiday celebrations! 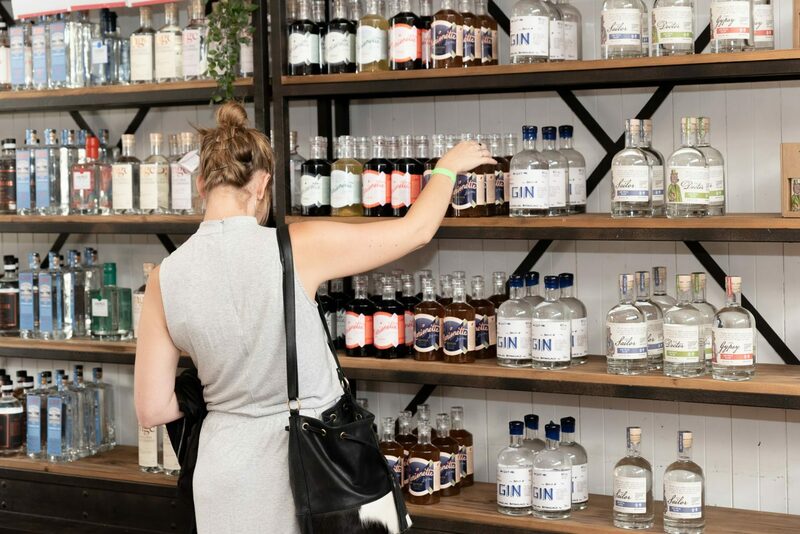 Discover a handpicked selection of celebrated gin distilleries upstairs in the Makers Hall alongside some super gin-focussed specials. Melbourne gin lovers can look forward to sampling three all-new gins created by The Craft & Co – a Navy Strength, an Old Tom and wait for it… a Gingerbread Gin! In fact, all the stallholders will have fantastic products to showcase on the day and there will be some exciting new faces in the line-up this year! Plus special guest appearance by ADSA Liqueur Champions, Marionette. During the day, you'll have the opportunity to meet the makers and purchase bottles to take home and share with friends and family or as special gifts for loved ones. And if that wasn't enough to tempt you, you can also have a feed or a drink in the eatery and bar downstairs throughout the day too. Please book your tables to avoid disappointment! 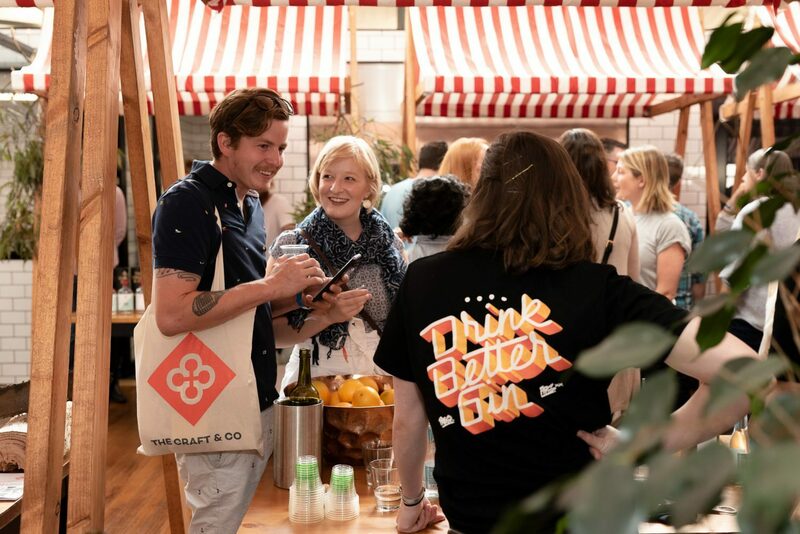 Craft & Co's famous Gin Cheese will be available for sale on the day via the micro-dairy as well! There is no doubt that we are currently in a golden age of craft gin distillation in Australia - so join the fun and uncover the fabulous world of local gin in the very place that has distilled some of Australia's very best gin! 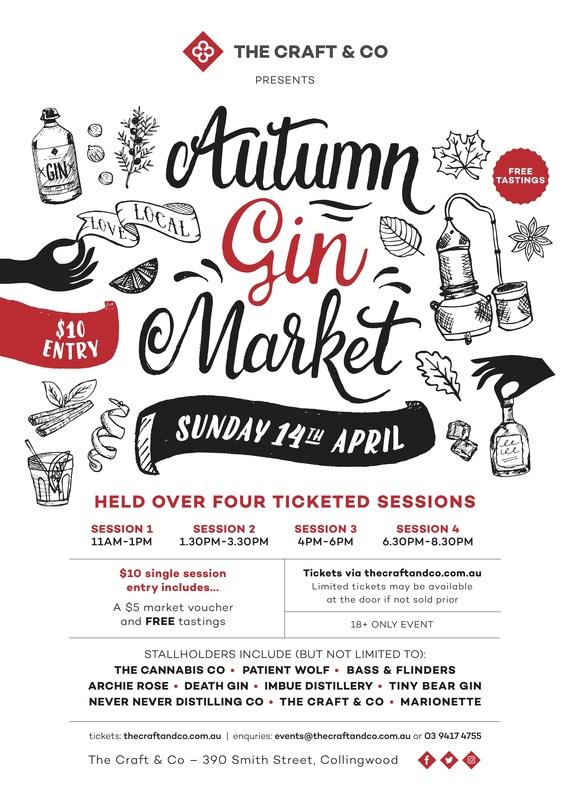 To allow for better control of foot traffic, the Autumn Gin Market is a ticketed multi-session event: included in the $10 entry price is a $5 voucher to use at any of the stallholders on the day and FREE tastings at all market stalls! But be warned: each session has strictly limited ticket allocations, so once they're sold, that's it! There's currently no allocation for walk-ins on the day! Secure your tickets today at thecraftandco.com.au. 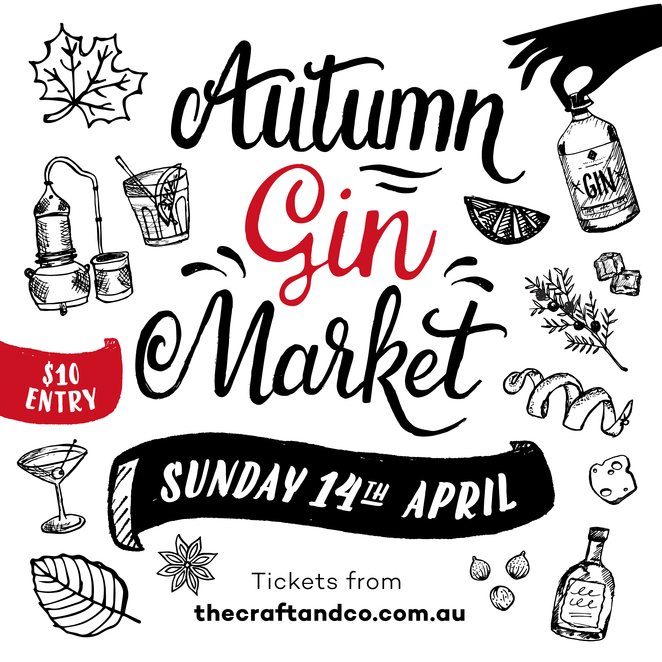 What better way to get all your Easter holiday shopping done and all at the original home of some of Australia's best gins, The Craft & Co in Collingwood. 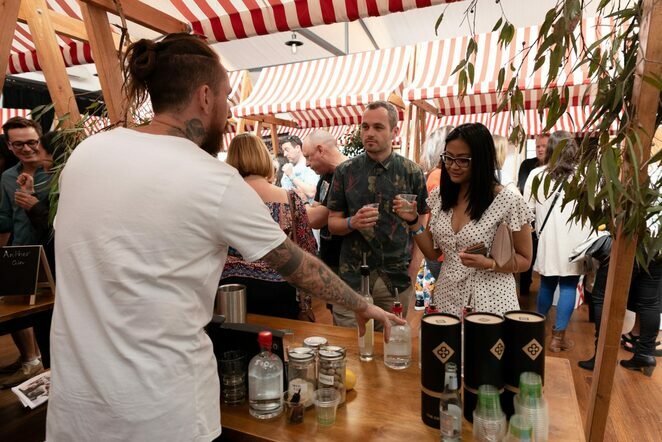 We Melburnians simply love our gin (the last market sold out in 4 days!) so best to act fast to secure your spots! Please note this event is for ages 18 and over only.